Still catching up on the blog! 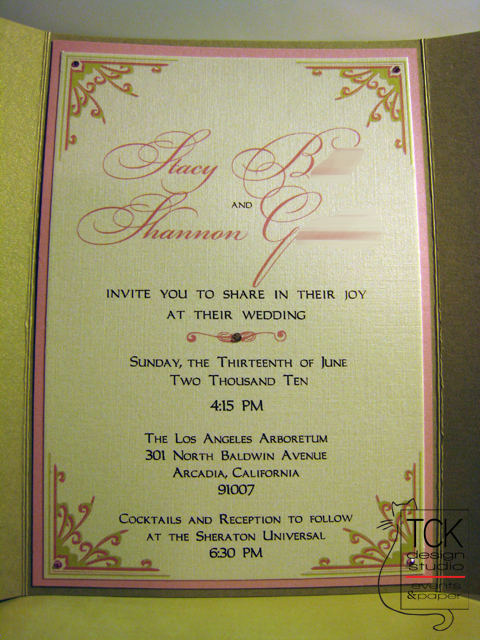 I posted Stacy and Shannon’s save-the-dates and monograms back in December, and now I’m revealing their full invitation suite. I knew that Stacy wanted some sparkle in her invites, so we paired up three gorgeous metallic cardstocks and a handful of crystal embellishments for these lovely gatefolds. Take a look at how it all came together! 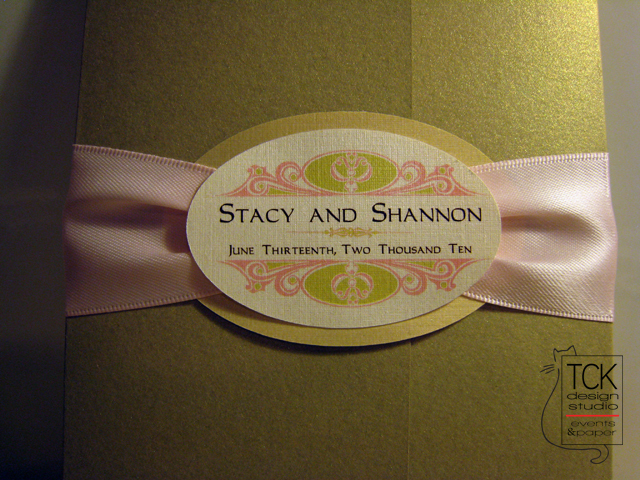 I used the monogram I'd created previously on the oval seal for the tucked-ribbon belly band. A closer look at the belly band and seal. 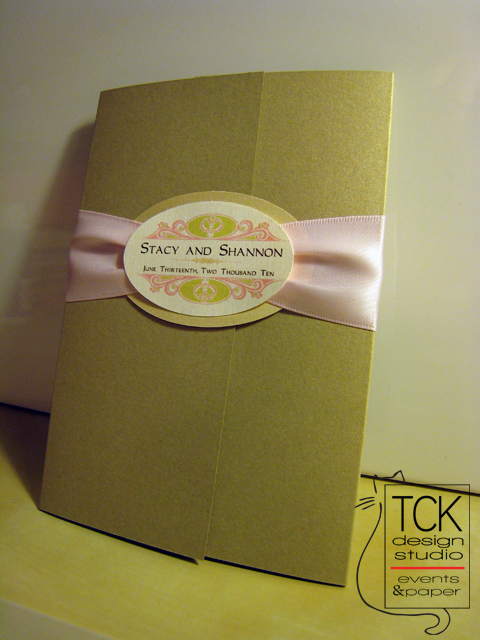 I love the tucked-ribbon look; it's a ton of extra work, but it's worth it. 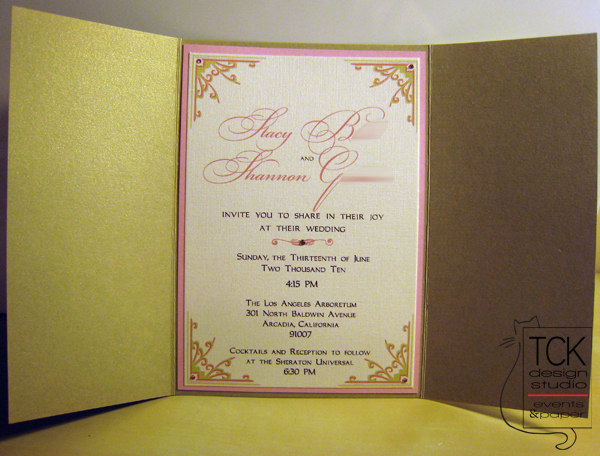 The invitation panel was mounted to a pink metallic cardstock mat inside the gold metallic gatefold. 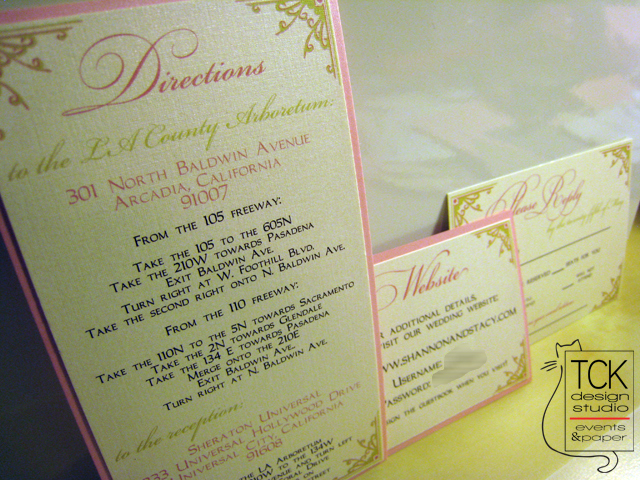 There were five crystal accents on each invitation panel - a pink one in each corner and an amber one in the center. 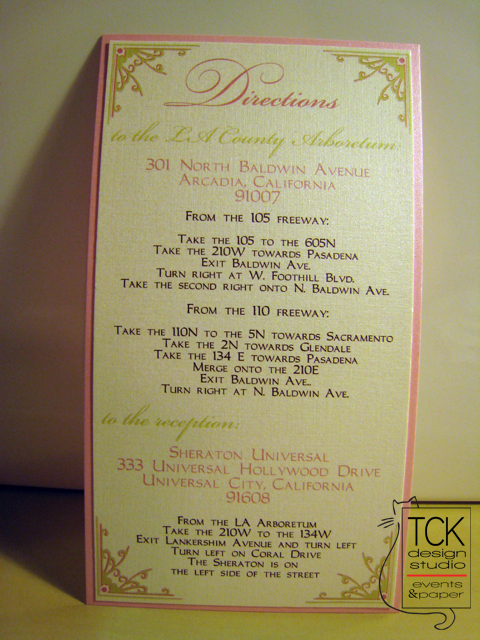 The inserts all maintained the graphics and fonts from the invitation panel and were mounted to pink metallic cardstock. 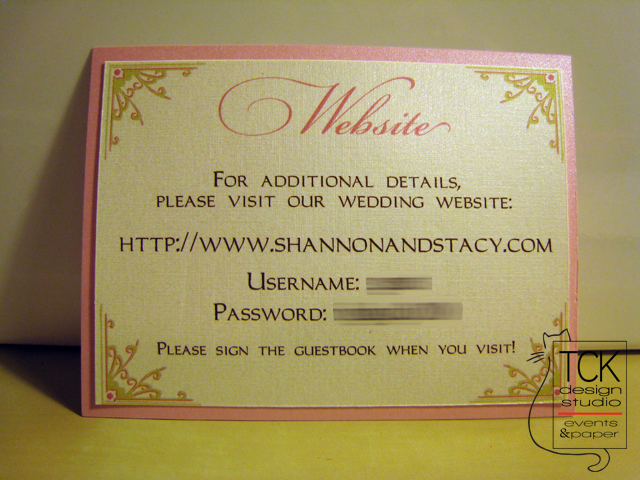 The only insert that didn't get a cardstock mat was the RSVP card, because it's paired with a coordinating pink envelope (not pictured). It was so much fun designing such an elegant set of wedding invitations for what was undoubtedly a gorgeous and detail-rich affair this past June. Stacy and Shannon, I wish you all the best in your marriage – thank you for the opportunity to create these pieces for you! 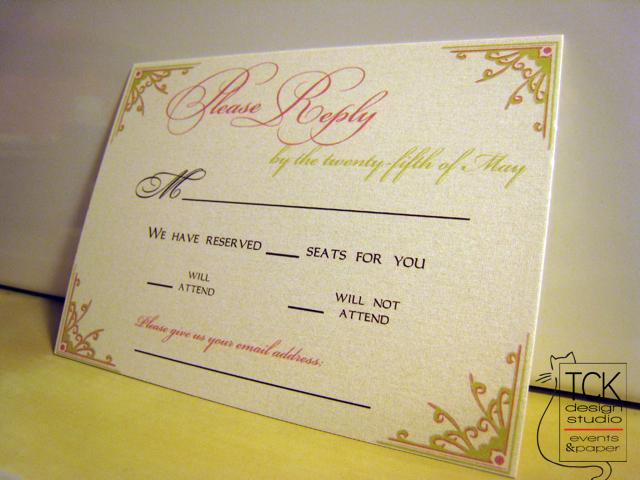 I started The Cheshire Kat Design Studio after designing stationery and paper products for my own wedding in 2008. Since then, I've branched out into event coordination as well, and the paper side of the studio continues to grow with our newest addition: letterpress! Everything I do is completely custom for each client, so contact me with your ideas and we'll work out something fabulous!